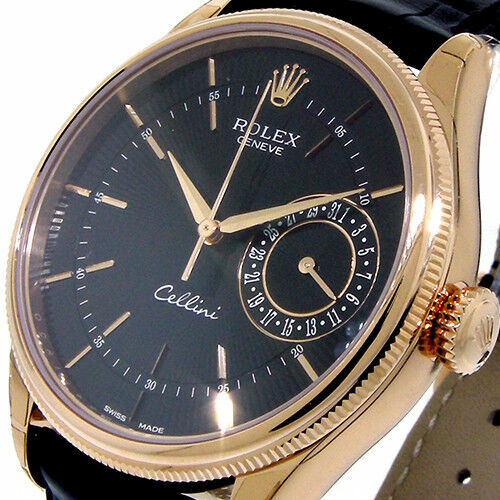 "The ALL NEW CELLINI features a 39 mm 18K Everose Gold Case, Black Leather Strap, Black Guilloche Dial, and a Double Bezel. Material:18K Everose Gold. ROLEX MODEL # 50515. Sub-Collection:Cellini Date."